T4 - by Ann Clare LeZotte - Reading is my ESCAPE from Reality! During World War II, the Nazi's Action T4 program called for the euthanasia of mentally ill and disabled people. 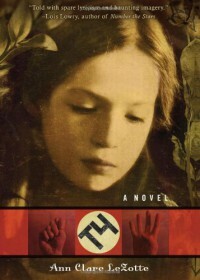 Paula, a thirteen-year-old deaf girl, fled from her home, and her family, and went into hiding in order to survive. This is a moving account of one little girl's survival told through beautiful, unflinching language. I loved this book and highly recommend it to young readers. It's a short book and a great introduction to the novel in verse format.